Our apartments are really something special! Each one is individually furnished and has it’s own style, decorated to make you feel at home right from the very first moment. You can rent each apartment for a minimum stay of 3 days. They are fully self-contained, including a little kitchenette, fridge, dishwasher, microwave-oven, coffee machine, cutlery and crockery, satellite TV, stereo radio und cd-player, shower/WC or bathroom/WC. 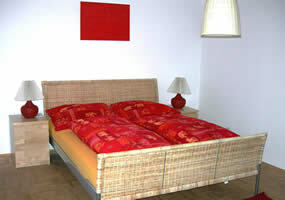 Towels and bed sheets (changed weekly) available, also one’s a week cleaning of the Apartment. 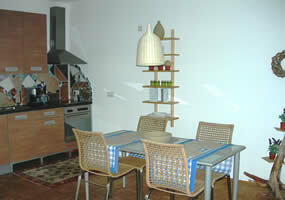 Within walking distance: Town centre 5 min, University 10 Min, Shopping centre and cinema 5 min. Special price offer for extended stays from the 2nd month on. Payment in advance. Internet via DSL and/or WLAN unlimited and free of costs.